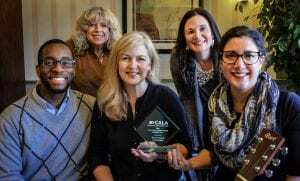 The Greens at Cannondale has won multiple awards related to its broad and meaningful use of music. In addition to two staff musicians, and insightful music lectures, The Greens offers a one-of-a-kind certified music therapy program led by Rafel Sgammato, the founder and executive director of Nostalgic Notes. At The Greens at Cannondale, you’ll find a combination of instrument playing, singing and movement used to connect our residents to one another and create customized music experience. 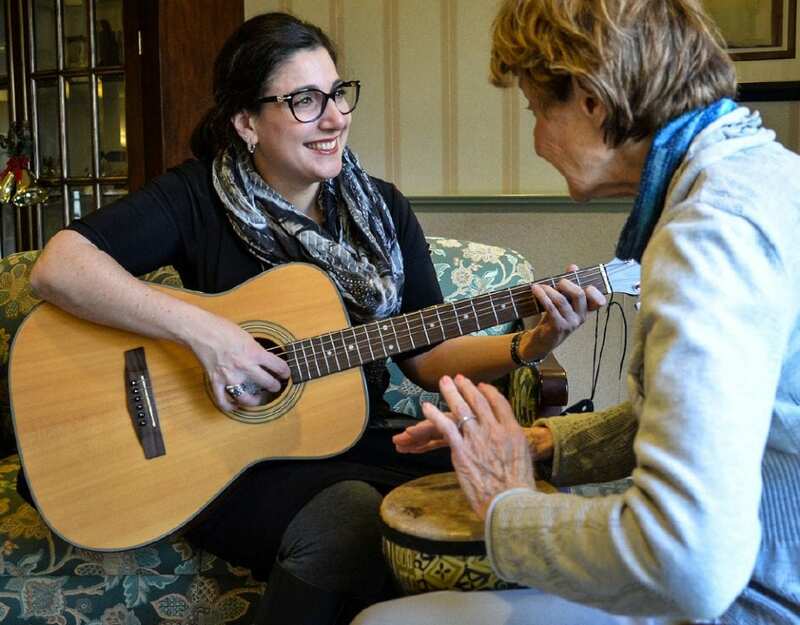 Rafel utilizes Neurologic Music Therapy (NMT) techniques to help residents maintain current cognitive functioning. “Rafel treats residents with Alzheimer’s disease and other types of cognitive impairment as an adjunct or even alternative to medication,” says executive Director Ron Bucci. According to the American Music Therapy Association, music is a form of sensory stimulation, which provokes responses due to the familiarity, predictability, and feelings of security associated with it. Music therapy treatment is efficacious and valid with older persons who have functional deficits in physical, psychological, cognitive or social functioning. Music therapy reduces depression among older adults. Music experiences can be structured to enhance social/emotional skills, to assist in recall and language skills and to decrease problem behaviors. Music tasks can be used to assess cognitive ability in people with Alzheimer ’s disease. Music is effective in decreasing the frequency of agitated and aggressive behaviors for individuals diagnosed with Alzheimer ’s disease and related dementias. Individuals in the late stages of dementia respond to and interact with music. Neurologic Music Therapy (NMT) is the therapeutic application of music to cognitive, affective, sensory, language and motor dysfunctions due to disease or injury to the human nervous system. If someone, for example, had a stroke and was hemiplegic, Rafel would use NMT techniques to train the undamaged neurons around the area to make up for the deficit. 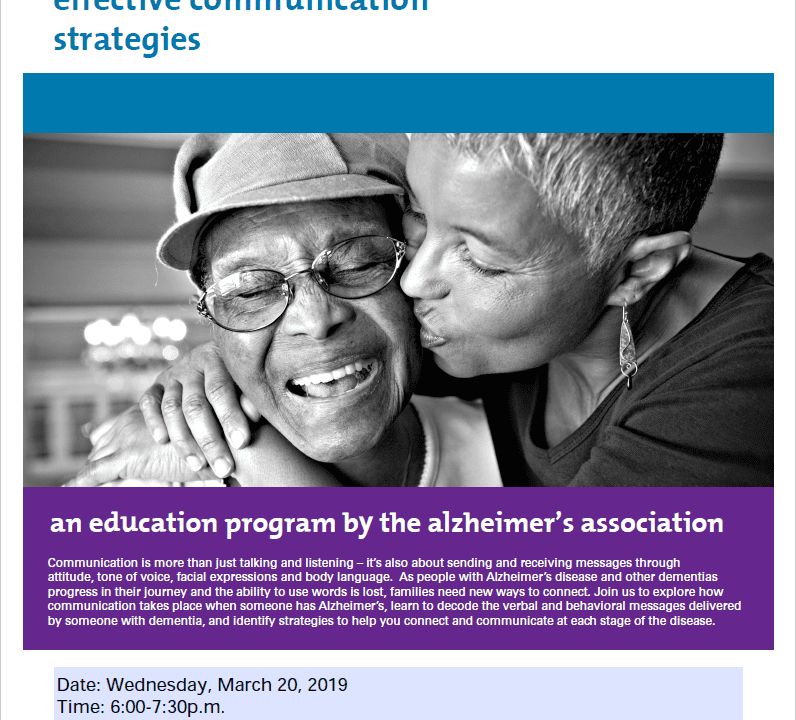 In end stage dementia, Rafel uses it primarily for language so that folks can still communicate with their family members and staff to help improve quality of life. Having the ability to communicate when they have to use the restroom, what they want for dinner, which movie they would like to watch, saying happy birthday to their grand children is so incredibly important. We have had residents at The Greens who had late stage dementia and trouble answering yes or no questions. After a few months of Music Therapy they were able to answer open ended questions and hold a spontaneous conversation with family members. There are residents at The Greens who have difficulty communicating using language however, not only can they sing without delay, they can harmonize to basic songs. 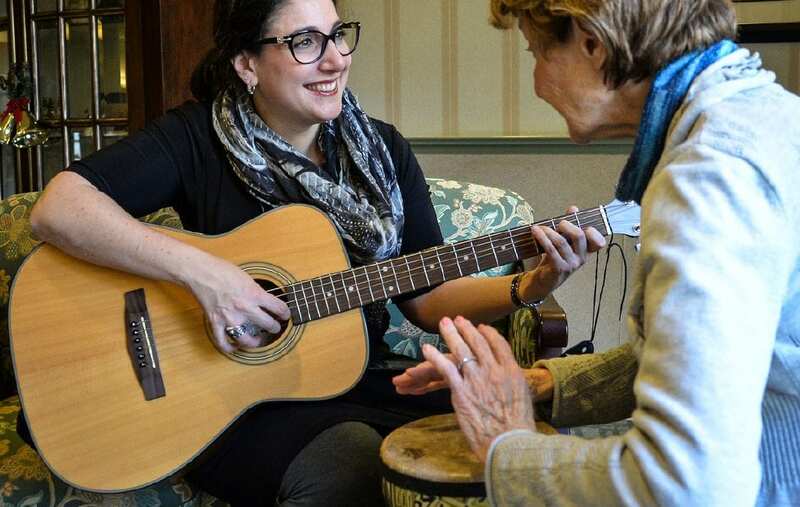 The Greens is proud to provide quality, skilled, structured programs like Music Therapy to aid in the memory care of our residents. Rafel Sgammato, MBA, NMT, MT-BC, CDP is the Founder and Executive Director of Nostalgic Notes, a music therapy agency serving adults with social, emotional, cognitive, behavioral, and physical needs that occur from depression, stroke, cancer, various forms of dementia, post-traumatic stress disorder (PTSD), traumatic brain injury (TBI), and palliative care. 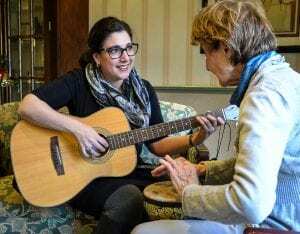 After completing her music therapy internship in a veteran’s hospital, she chose to continue serving older adults with her passion of music. Today, Ms. Sgammato uses the latest evidence-based techniques and strategies and is unafraid to think outside the box and adopts creative ways of using music to meet individual goal objectives for the client. A highly accomplished violinist with over 25 years’ experience and playing in a variety of orchestras, she has completed college education and music instruction in piano, guitar and singing and training programs in the facilitation of drumming. Ms. Sgammato regularly performs in local and regional concerts. Appearances have included concerts in Hartford, Danbury, New York City, Austria, Czech Republic and Italy. 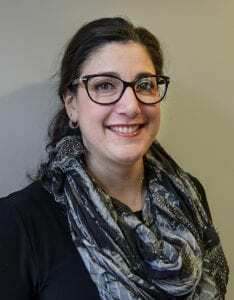 Ms. Sgammato earned a Bachelor’s Degree in Music Therapy from Marywood University and her MBA with a minor in Healthcare from the Keller Graduate School of Management. Because she understands the level of healing that music can provide, she is an advocate for her clients. Learn more about the programs and services available at The Greens at Cannondale.